In April of 1996 at the Tucson II: Toward a Science of Consciousness Conference at the University of Arizona in Tucson, I presented “The Case for the Non-Quantum Receptor”. The point of my presentation was that in our conscious perception of reality through the physical senses, the final receptor in the consciousness of the observer is non-physical. The basic concept was expanded upon in my third published book “Transcendental Physics”, published in 1997. On the second day of the conference, as I was leaving the presentation hall after a very interesting presentation, I found myself walking beside an internationally known physicist. I turned to him and said “Have you started meditating yet?” He looked at me as if I had two heads, and said: “NO! Why should I?” Before I could answer, he disappeared into the crowd. That mainstream physicist’s response typifies the conventional attitude of scientists that is still prevalent today. It reflects a belief in dualism that goes back at least to the thinking of Rene Descartes in the early 17th century. That belief confuses materialism with objectivity. Materialism is a simple philosophy that successfully answers many questions about the nature of physical reality, but it is totally unable to elucidate deeper, more important problems related to the conscious perception of reality. Relativity and quantum physics are rife with clues linking physical phenomena to consciousness, but they go unnoticed by the closed mind of a materialistic scientist. On page 206 in Transcendental Physics (now available on Amazon both as a quality paperback and as an e-book) I discuss the need for and evidence of what I call ‘inner objectivity’. Reality is not just physical phenomena, matter and energy interacting in space and time, it also includes consciousness which is actually far more important to human experience than the mechanics of physical reality. Reality is not categorically compartmentalized the way dualistic thinking supposes it is. It is integral and undivided. Reality exists in an infinite spectrum of mass, energy and consciousness. It is the limitations of human perception and conceptualization that lead to the belief that reality can be understood by reducing it to unrelated parts and studying the fragments. The reductionist approach to science can only take us so far. In the end, we must put it all back together. The whole of reality cannot be comprehended unless we re-integrate space, time, and substance; mass, energy and consciousness. That is what the Neppe-Close paradigm shift is all about. Let’s return now to an event mentioned in other TPhysics blog posts, including the last one: My experience in the Great Pyramid. That experience is an example of the integration of inner and outer objectivity in one event. 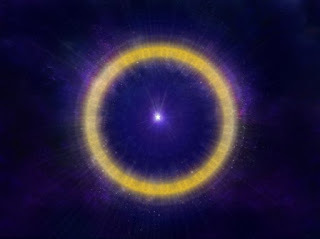 A spinning ball of light came out of a corner of the stone walls of the Queen’s Chamber and struck me in the forehead. When it struck, I began to experience the effects of motions of which we are usually totally unaware. I immediately began to feel the spinning of the Earth and the movement of Earth around the Sun. The Earth is spinning at1040 miles per hour (MPH) at the equator, which translates to an angular velocity of about 910 mph at the Great Pyramid. In addition, the Earth’s revolution around the Sun amounts to 67,060 mph. As a result, I experienced what is known as extreme vertigo. The forces of these motions threw me to the floor and I threw up violently, and left the body. Once out of the body, I was aware of a much greater universe than we usually perceive, a universe of brilliant light of unearthly color and a wide range of sounds, a world of voices and faces, a universe of nine finite dimensions embedded in an infinite substrate. I didn’t know until the next day that other people in the room had seen the ball of light too. I had told no one about seeing it. Until others told me that they saw the ball of light hit me, I thought it might have been purely subjective, some sort of hallucination. The fact that others had seen it, convinced me that the whole experience was real, that it was both outwardly and inwardly objective. I have spent much of the past seven years since the experience in digesting what I leaned, and integrating it as a piece of the puzzle of reality. In future posts, I will attempt to explain how this experience and other experiences of expanded consciousness fit into the TDVP expanded scientific paradigm.